Fund for Assistance to the ROCOR - Home, Sweet RV, - no more! 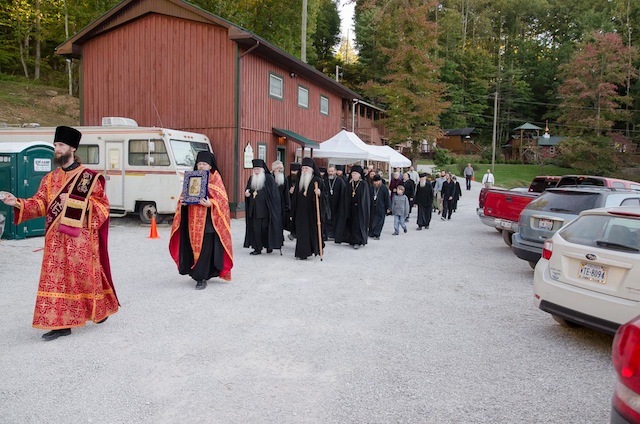 Cross procession moves past the RV, where Br.David lived for years before you helped. The only place Br David could be housed was an old RV. It may not sound too terrible for someone who’s pursuing an ascetic way of life, but West Virginia summers are hot, and being in a small enclosed space in 100F weather is simply dangerous. Three years later, Br David was one of the brothers making incense that brings the monastery some income. However, he was still living in the RV. Thanks to donors like you, Br.David now lives in a monastic cell. He may have been there for many years more, if it hadn’t been for you. Your generosity allowed the brethren to breathe a sigh of relief this year. Thanks to you, they didn’t have to worry too much about paying for necessities such as food or medical insurance, so they were able to free up some resources to finish their major construction project – project Kelia. Now they have nine more cells and an infirmary. Because of you, brethren like Br David, who lived in the RV, the guesthouse basement, and office building, have now moved to real monastic cells – small rooms with a bed, bookshelf, and icons on the walls - built efficiently and to last. The cells are easier to heat in the winter and cool in the summer. You know why you are absolutely amazing? Because you stepped in when the brethren were afraid to draw people’s attention away from “merely surviving,” to building. “We were just surviving, we only had money for groceries and basic expenses. After the FFA came in to cover necessary clergy expenses, we finally had the stability and confidence to divert our own resources into the capital investment and construction that was desperately needed. 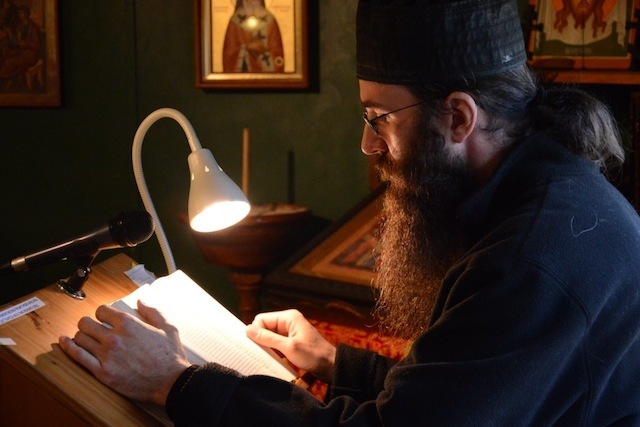 Thank you!” said Hieromonk Alexander (Frizell).